Are you looking for TNEB TANGEDCO Jobs Notification 2018 ??? If yes then here is a good news for you. 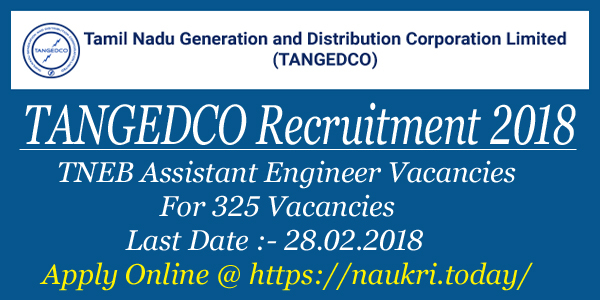 Tamil Nadu General and Distribution Corporation Limited (TANGEDCO) has now issued notification for appointing candidates on 325 Assistant Engineer vacancies. All the candidates who are interested in TANGEDCO Recruitment 2018 can fill application form through online mode for TNEB AE Vacancies. Eligible contenders can fill online form for TNEB Recruitment on or before the last date 28.02.2018 (extend now till 06.03.2018). 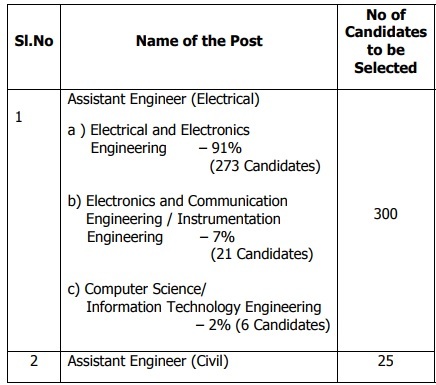 Tamil Nadu Electricity Board (TNEB) is inviting online application for filing 325 Assistant Engineer Vacancies. All the applicants of Tamil State who are searching TANGEDCO Vacancies Notification, this is great job opportunity for you. Online registration for TANGEDCO AE Recruitment has been started from 14.02.2018. To get more information about TNEB Vacancies like Eligibility Criteria, Pay Scale & selection method you can check from below article. Fresh Update as on 06.03.2018 : Dear Friends, TANGEDCO AE Application Form now available till 06.03.2018. You can submit application fees on or before 09.03.2018. Fresh Update as on 16.02.2018 : Dear Applicants, TANGEDCO Syllabus For AE Exam is available Now. Applicants who have filled online form & preparing for exam can check TNEB Syllabus From here. Applying TANGEDCO Jobs Online form is mention below. What is the Required Application Fees, Monthly Salary & Selection Criteria For TANGEDCO AE Recruitment 2018 ? How Much Pay Scale will paid for TANGEDCO AE Vacancy 2018 ? How To Fill Online Form For TANGEDCO Recruitment 2018 – TNEB AE Online Form ? In the below section we are providing Trade wise division of TANGEDCO AE Vacancies. Applicants can check more information about jobs division from TNEB Recruitment Notification. Applicants if you searching Eligibility Criteria for TANGEDCO AE Vacancies then read the below section. Our naukri.today team is providing full details about TNEB AE Recruitment Criteria like Education & Age Qualification in this section. Further details you can also get from official TNEB TANGEDCO Notification. Here we are providing post/Trade wise required education qualification for TANGEDCO AE Vacancies. AE (Electrical) : Applicants must have Bachelor’s Degree in EEE/ECE/EIE/CSE/IT field from any recognized university or AMIE pass in Electrical Engineering. AE (Civil) : Bachelor’s Degree in Civil engineering or AMIE pass in Civil engineering for TANGEDCO Jobs 2018. Minimum age of the candidates for TNEB Recruitment 2018 must be 18 years & Upper age should be 30 years as on 01.07.2017. There is no upper age limit for the candidates of SC/ST/MBC/BCO/BCM/Destitute Widow of All category for TANGEDCO Vacancies 2018. Selected applicants for TANGEDCO TNEB Vacancies will paid a good salary as per organization normalization. After Joining, Selected candidates for TANGEDCO Vacancy will paid Rs. 10,100/- to 34,800/- with grade pay of Rs. 5,100/- per month. OC, BCO, BCM, MBC/DC Category : Rs. 590/- as examination fees. SC, SCA, ST Category & Destitute Widow/ PWD : Rs. 295/- paid for filling TNEB Online Application. 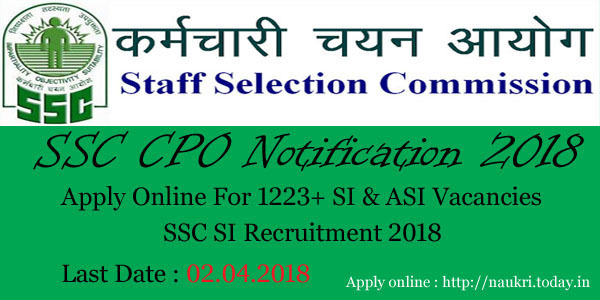 Selection of the candidates for TANGEDCO Recruitment 2018 will made on the basis of written Examination & Documents Verification. Final merit List will declared on the basis of Marks obtain in written Competitive Exam. Pattern of examination for TANGEDCO Jobs is shown below. Written Exam will be objective type in nature. Question will be Engineering Degree Level. Question paper of Civil Trade will available in both Tamil & English language. For Electrical Trade, Question paper will available in English Language only. Exam will divided into 03 parts. Total time duration of Exam will be 02 hours. More details about Exam pattern you can check from official notification. Keep stay with this page for more updates for TANGEDCO AE Vacancies 2018. Firstly candidates visit to the official website www.tangedco.gov.in. Now click on Recruitment Section & Click on Official TANGEDCO AE Recruitment Notification link. Read all the information mention in official TNEB Jobs Advertisement. 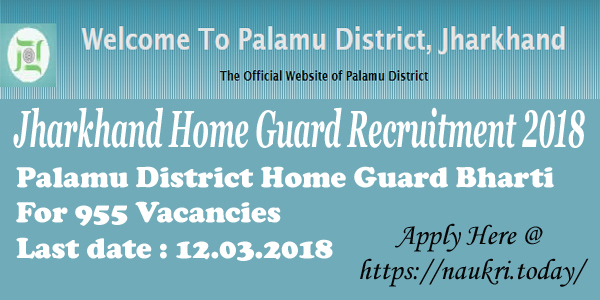 Then click on Apply Online form link. Fill all required information in online form properly. Upload your recent passport size photo & signature in form. Recheck all details before submission. Now deposit application fees through Bank Challan. Take print out of TANGEDCO AE Jobs Online form for future reference. Conclusion : – TANGEDCO Recruitment 2018 for 325 Assistant engineer (AE) Jobs. Candidates can fill online form for TANGEDCO AE Jobs 2018 on or before the last date 28.02.2018., Check more details about TNEB recruitment by reading the above article or from notification.